AirPlay Direct has the largest broadcast quality music database and delivery platform in the world. APD supplies music to radio stations globally. Please understand that I make not one red cent for promoting APD. What I do is "share" what I think will help Indie Artists! 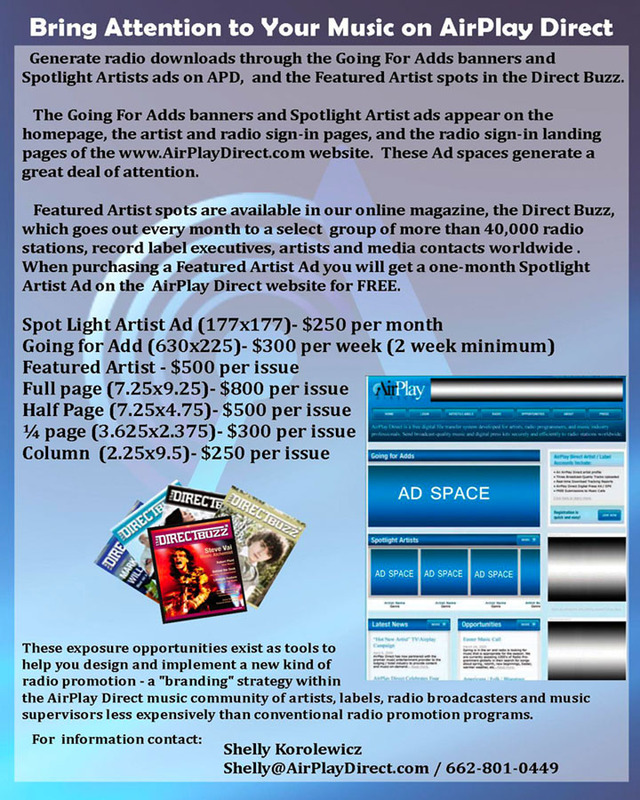 First off, if you want worldwide airplay, then get your material on APD (it's free), then if you want more exposure, do an ad!